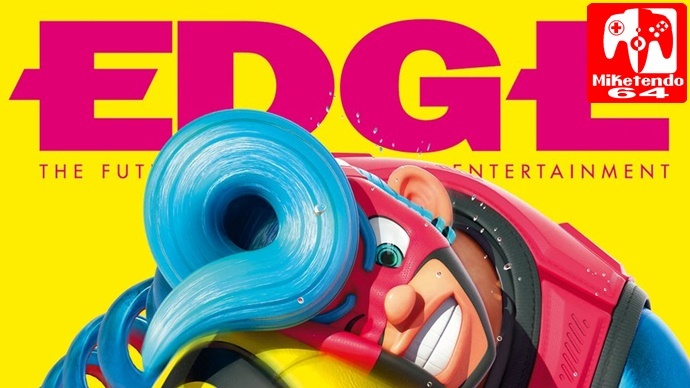 ARMS Becomes The Main Feature For Next Issue Of EDGE Magazine. Covering Origins, Game Balance & More! The Legend of Zelda: Breath Of The Wild had feature recently on the cover of EDGE Magazine but it seems that another First-Party game from Nintendo is following suit. ARMS will be the main feature if issue #306 along with the caption “Nintendo’s stunning new fighting game lands the killer blow for Switch”. There are two different covers for issue #306, the standard issue is the white one on the left below and the yellow one on the right is exclusive to subscribers. Once you get past the front cover, you will find a lengthy feature on the game with Producer Kosuke Yabuki, art director Masaaki Ishikawa, and design director Shintaro Jikumaru sharing some comments about the game. The three of them speak out about the game’s origins how they balanced the games and other topics as well, Some of the comments found in the feature, we have provided below. “I don’t actually consider fighting games to be a niche genre. There are a lot of big games, and a lot of titles that are prominent on the esports scene. It’s a fiercely competitive genre. We designed the appearance and systems of ARMS so that people can feel like it’s the kind of game they’d like to play, too, by making it so you could see the trajectory of your arms, and by reducing the amount of things you have to memorize. And because we were using motion controls, we worked hard to make sure that while you could play simply by waving your hands, you couldn’t win against a good player by doing just that. Making games accessible while still maintaining plenty of depth is a never-ending problem in videogame development, and we have taken on that challenge with ARMS as well.